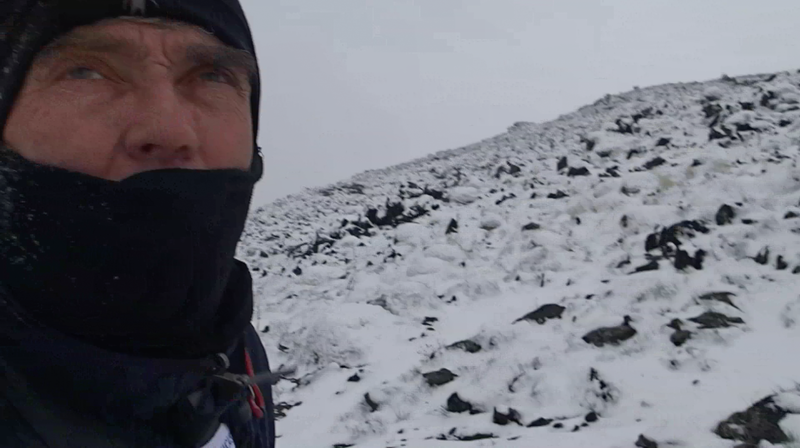 Explorer, environmentalist and Greenwich resident Luc Hardy had chosen mid-May for his attempt to scale the 5,671-meter Mt. Damavand in Iran. The weather at that time is usually ideal. It should have been perfect conditions for the climb and for Hardy to fulfill his mission -- to monitor the environment and examine the effects of climate change on the summit. So, Hardy traveled to Teheran, arriving on May 13. A two-hour drive brought the Greenwich adventurer and his climber/guide to the base of Mt. Damavand. Surprisingly, they were met with snow and wintry conditions. But Hardy and his companion pushed on, making their way up the first 3,700 meters of the mountain -- when the weather took a turn for the worse. "It was windy and cold," Hardy said, "not what it should be at this time." And the going was getting tougher. "It started to be bad," said Hardy. At 4,100 meters, the two climbers hunkered down and spent a couple of nights waiting for things to improve, but the prediction was for the "bad weather" to continue over the next two days. The ascent was aborted. "The reason we could not reach the top," Hardy said, noting the irony, "is because of climate change. Climate change walked into our itinerary." So, Hardy switched his attention to exploring the cities of Iran, visiting four cities and several small towns and villages. And, everywhere he looked, he saw the effects of climate change -- in the form of a severe drought. Those effects were particularly startling in the city of Isfahan. "Isfahan is the most beautiful city in Iran," said Hardy. But when he got to its landmark bridge over the Zayandeh River, there was no water in sight. "Imagine seeing the city of Paris without the Seine," he said. "It was shocking. It was a month's-long dry riverbed." Walking across the dusty riverbed, he came upon a group of scientists conducting a study there. They explained to Hardy that the change in climate and too much water being routed by a dam upstream to agriculture in the surrounding villages had caused the drought. Isfahan was drying up. "The canals that run through the city were all dry, with grass growing in them," Hardy said. And where there was water, he saw it being wasted. "There are fountains flowing in the street," he said. "You see people hosing public lawns. Why do they have these lawns? And their toilets -- the amount of water they use for flushing is crazy." Hardy cited water management as a major issue. "Teheran is at the base of a chain of mountains that feeds their water supply," he said. "The people are used to getting their water free and easy. But now the glaciers are melting more rapidly along with the snow, which is going to create major water issues." Another goal of Hardy's trip was to find out how climate change is perceived by the general population. "The people say the land is dry," he said, "But the average citizen is going to have a tough time to address that issue." He found "a lot of goodwill with the people -- they want to do well," he said, "but there's no real middle management." "There are 80 million Iranians," he said, many of whom he said would like to see a change in their government.